Chart of the day: US and UK DGAF about climate change, YOLO? Data analyzed songs from 1995 to present via Rap Genius and built charts breaking down, not only popular models and makes of cars mentioned in rap, but also their waning and waxing popularity. Of particular note is the infographic detailing which MC had the most car shoutouts in his lyrics. 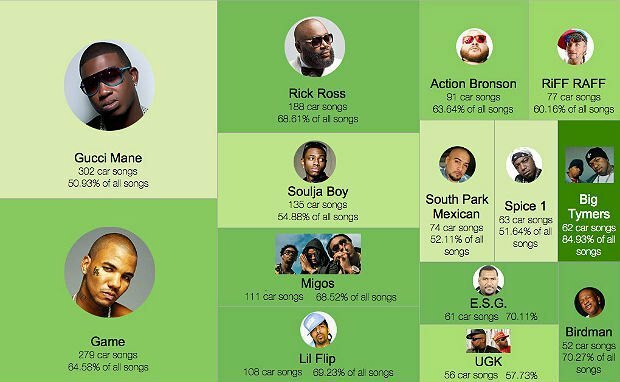 Car Makes and Models in Rap Songs, via Medium. 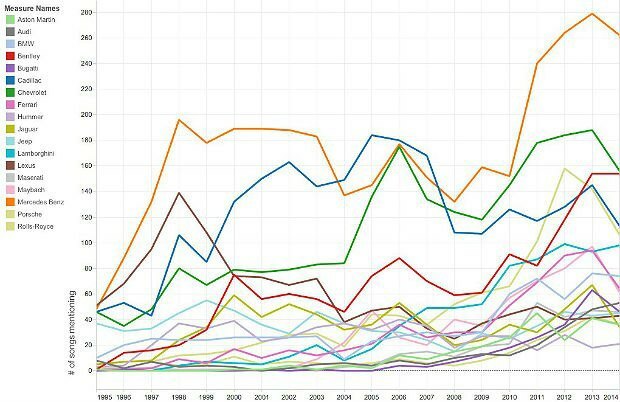 According to the chart, the most frequently name-dropped car make is the Mercedez Benz. If you break it down even further, it’s the ’64 Chevy Impala that gets the most nods. 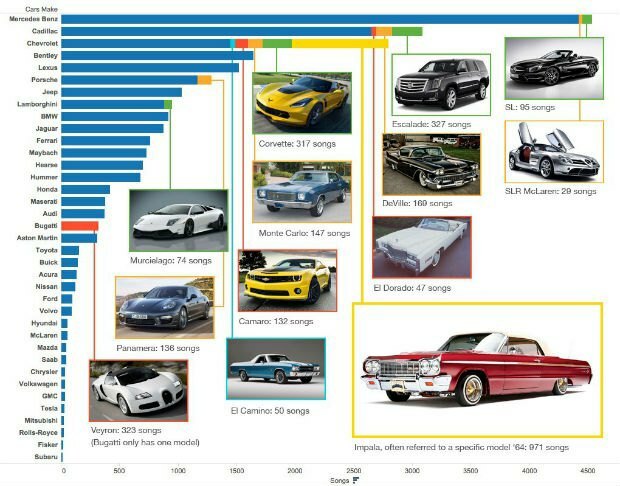 Car Popularity Over Time, via Medium. Makes that have gained popularity over time include Aston Martin, Audi, Bugatti and Ferrari. While Hummer, Jeep and Lexus have gone out of favor since 2000. Artists With Most Car Mentions, via Medium. Rick Ross is the MVP of rap’s car endorsement game. Other rappers who could potentially give up their rap laurels for jobs as cars salesmen: Game, Gucci Mane, and Soulja Boy among others.